If you are a homeschool family of children in Kindergarten through first grade level, I am going to be announcing an amazing giveaway for a Biblical curriculum set tomorrow! If you know someone that would benefit from this, please let them know! Hope you all have an awesome week! Hi, all! You read that correct. 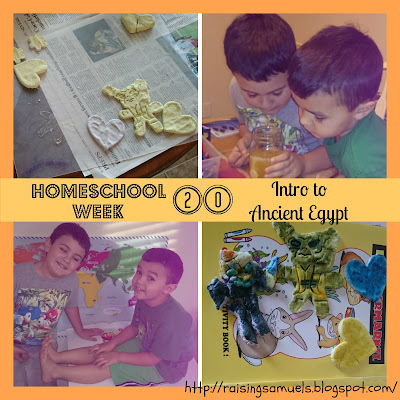 My four year old and six year old are learning about Ancient Egypt. A few months ago, we were blessed to be able to review a Biblical curriculum called Tapestry of Grace: Primer. I will be posting the full review on Monday, and you don't want to miss it because you may be able to win a copy for yourself! You can also head to their website and download the first 3 weeks of lessons free! Monday - Today, we read Genesis 37 on how Joseph has a dream where all his brothers bundles of wheat bow down to him. Upon hearing this dream, the brothers out of jealousy sell him as a slave, and tell their father a wild animal killed him. Tuesday - We read Genesis 39-41 about Potiphar's wife lying about Joseph, and him getting thrown into jail because of her false accusations. It is here, he starts to interpret dreams and then is called to interprets the Pharaoh's dream. Wednesday - Reading in Genesis 40-41 today, we learn that Joseph does go to the Pharaoh to interpret his dream. Thursday - We read Genesis 41-45 today about Pharaoh putting Joseph in charge, and how this saved Egypt from starving. It has been years since he has seen his brothers, but yet the brothers end up going to Egypt because they are seeking food. Joseph recognizes his brothers, but they do not recognize them. He has them thrown into prison and only release them, if they promise to bring their youngest brother, Benjamin back. He then places a silver cup in Benjamin's sack to test if his brothers have changed. The brothers step up to take Benjamin's place as he is their father's favorite son. It is now Joseph reveals he who is. Friday - We read Exodus 1-2 about Pharoah saying all baby boys had to be thrown into the Nile, where they would most likely be eaten by crocodiles. A baby named Moses is placed in a basket and is watched by sister, Miriam get carried down the Nile. The Pharoah's daughter sees the baby and plans to keep the baby and not hurt him, so Miriam comes out of hiding and asks if she needs to get a woman from the village to nurse the infant. She agrees, and Moses' biological mother comes to nurse her own son for the Pharoah's daughter. Monday - We made some salt dough today and the boys had to measure and mix the ingredients. Tuesday - B worked on adding sums without items his workbook, and G worked on learning to add in his. Friday - G finished his math workbook for the year, and is starting on another one! Both the boys worked on some addition; B learning adding with 7 and 8. Monday - We learned about how the ancient Egyptians lived along the Nile River, because this was the only place crops would grow. One a year, rain would flood the Nile and provide rich soil. We also learned how camels were used for traveling traders, who were carrying spices and incense to Egypt. These travelers may have been the ones who purchased Joseph as a slave. We also learned about the dyes the Egyptians used. Tuesday - Today's lessons included learning about the differences between the rich (Pharaoh) and the poor Egyptians. (slaves) They all had houses built of mud bricks. Ordinary homes had just a bed, a table and 2 chairs. The walls were white, and they had a flat roof or small yard to help keep cool. Richer folks had decorations on their walls, pools and gardens. Wednesday - The boys and I reviewed the oceans and continents of the world, and also some musical instruments from different countries. This month's Little Passports was on Music so we learned about the djembe in Africa, didgeridoo in Australia, the gong in China, and bagpipes of Scotland. We also learned the differences between Egyptian men and women. Children were expected to help work, and were named after gods or goddesses. Boys were mostly taught to read and write, with only richer girls having the ability to do the same. Thursday - In today's lesson, we discussed the differences of clothing between poor and rich Egyptians. Friday - We talked about the geography of the Nile River, and how it flows up. We learned about Lower and Upper Egypt, and also talked about mummies and pyramids. Wednesday - Our Magic School Bus Science Club mailing this month was on gases, liquids and solids. We did Experiment 5 today on making goop, and Experiment 3 on watching a tablet fizz in a glass of water. Friday - We did Experiment 1 where we saw what happens to raisins in seltzer water, and the reason behind what it does. It's such a cool subscription, because it comes with mostly everything you need. The boys were fascinated and grossed out with the experiments we did this week! Monday - We read chapters one and two in Mummies in the Morning. Tuesday - B worked on ending consonants today in his workbook. He also did Lessons 17 and 18 in First Language Lessons, where he learned about the names and places of proper and common names. G did Lesson 13 in 100 Easy Lessons, and learned how to read sad, mad, eat, meat, read, am, ram and me. His first reading assignment had him read, "See Me Eat" and he answered his first set of reading comprehension questions! Wednesday - We read chapters three through six in Mummies in the Morning. Thursday - We read chapters seven through eight in Mummies in the Morning. Friday - We finished Mummies in the Morning today, and also read If I Built a Car. Tuesday - G wrote the letters s, a, and d. B wrote the first two lines of a poem, and also the name of our city and state. Friday - B wrote out his vocabulary words for the week: Nile River, Pharaoh, Palace, harvest, crocodile, Joseph, Moses, and Miriam. Monday - The boys had fun making salt dough ornaments with their Star Wars Cookie Cutters. Tuesday - G worked on a cut and paste activity that went along with his writing lesson. Wednesday - The souvenir item in Little Passports this month was a music CD of songs around the world. The boys' favorite was definitely La Cucaracha. They sang and danced to that today. Thursday - We painted the salt dough ornaments today and then the boys had some friends come over. I wrote a post this week on what ended up happening today, that ended this friendship between two of these children and my sons. It was something that had been a long time coming and something I intensely prayed on. It was still a shame it ended the way it did though. Can you believe January is almost over? I feel like this month flew by! Thanks for stopping by to share our week! Disclosure: This post may contain affiliate links. Thanks for supporting my site! My family and I moved into our neighborhood, one year ago this month. Over the course of one short year, we have been introduced to many scenarios that have left our souls wounded and our hearts hurt. My purpose in writing this, is to not agonize over what happened but to share the lessons I learned from this. Upon moving into our neighborhood, we had many of the children in the neighborhood flock to our house. We were still unpacking boxes, and the door bell would ring several times a day. I wasn't sure if it was the curiosity of who we were as new neighbors, or if it was because they sensed something different about us. Everyday, we would stop what we were doing and let our sons play with the neighborhood children. Two of the children who are siblings started to come over everyday, multiple times a day. They would be at our house for hours before someone from their house came looking for them. This would be a normal scenario, had we known the parents and had a chance to develop a relationship or friendship. It was usually another sibling that would come ring the bell to come get them to take them home. It was months before we met their Mom. Over the course of time, we learned that literally overnight, she had become a single mother left with four children and an ex who didn't want any part of her or the children. My heart bled for her, and for her children. I couldn't imagine being in her shoes. My parents are divorced, and I remember the pain that caused me as a child. I could now understand why these two siblings showed up at my door everyday. It was not easy, as they had no boundaries and no sense of what was acceptable. My husband, my sons and I all had to slowly teach them discipline but in a loving way. Things were going well for a while, until it started to interfere with our family time. The siblings would start to show up more than multiple times a day. 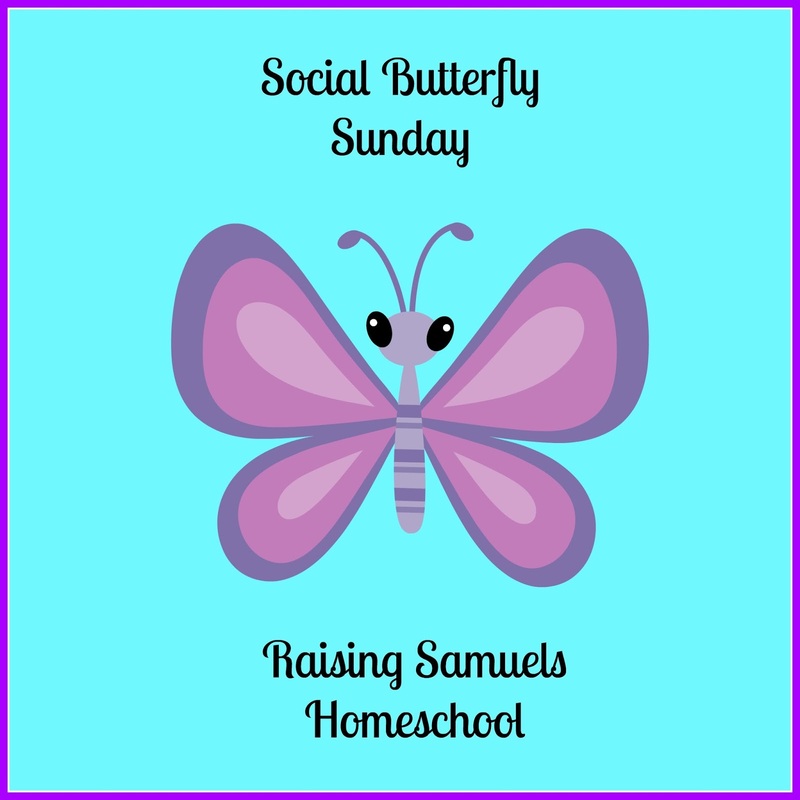 As a homeschool family, sometimes our day gets crazy and we end up homeschooling in the afternoon or early evening. When we explained my sons couldn't play because we were busy, they began to ring our doorbell every hour. Sometimes the doorbell would ring six or seven times in one day. No matter how many times they were asked to not come back that day or ring the doorbell, it persisted. It sounds ridiculous to be annoyed by something as small as a doorbell ringing, but it became a nuisance. Holidays, weekends, and even family time after church on a Sunday became interrupted with our own doorbell ring. One day it was so bad, I was left shaking and had to call my mother-in-law to help me calm my nerves. I prayed on this intensely and asked God, what was the lesson in this and what was He wanting us to do? Whoever hits you on the cheek, offer him the other also; and whoever takes away your coat, do not withhold your shirt from him either. I was reminded with the above scripture. Even though I could feel myself becoming angry at the situation, I still proceeded with faith. When we had free time and the siblings showed up to play, we would welcome them into our home. Again, this was not easy as they did not play well with the other children in the neighborhood. They didn't share, even when the toys were not their own. They also had a way of instigating and antagonizing, almost as if they wanted to be picked on. The oldest told me one day that my sons were their only friends. All of that changed last week. While having them over, the youngest in a rage flung a toy at our television. Thankfully, it did not break and there was not a scratch. Neither sibling showed any remorse, and I asked them to leave. I knew at this point, it had to be addressed with their Mom so for the first time I went to their house. I was not welcomed in. The door opened a crack and one of the older siblings answered, and explained to me she would have to wake her Mom up. I waited at the door, and when the Mom appeared, I explained what had happened. Again, there was no remorse shown. There wasn't a question asked if they had even broken the television. She only suggested that if they didn't know how to act properly, then she would not "send" them to my house anymore. I apologized to her, and told her I was sorry it had to come to that but I could not have my home disrespected like that. This floored her, and she exclaimed, "I should be the one apologizing to you." 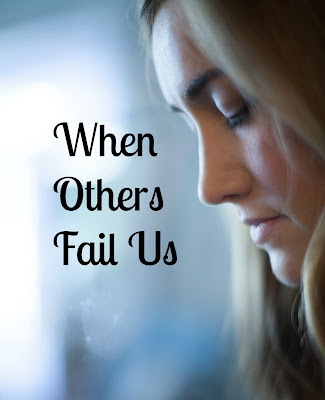 We keep our eyes fixed on Jesus (Hebrews 12:1-2): My faith let me know there was a lesson in this for all parties, and I knew God would be the victor. We keep growing in the faith (Matthew 28:19) This scripture speaks volumes because it is about going out and creating more disciples. It is about telling others about Jesus. Sometimes, the best way to tell someone something is through actions and not words. Living intentionally for ourselves and our children: One of the local churches in our area, has a sign that reads, "You may be the only Bible someone reads." I want my children to see the love and faith in Christ I have, so that they can have that too. It is so important to live a good life not only according to the scriptures and for our own personal salvation, but also for that of our children. They mimic what they see. Forgive: (Matthew 18:21-22) "Then Peter came to Him and said, “Lord, how many times could my brother sin against me and I forgive him? As many as seven times?” “I tell you, not as many as seven,” Jesus said to him, “but 70 times seven." Pray for others: I have no way of knowing what this family has gone through or will go through, but I know the power of prayer. I feel God has ended this chapter on whatever friendship or acquaintanceship would have been between my family and hers, but I know that I can pray for them from afar. Our homes and family are sacred: I made the mistake of letting children into my home, that I had no idea what they were going through at their home. I thought I was showing the love of Christ (which I was) but ultimately, it was leading to what would become destruction in my home. I was glad of the blessing and warning from the Lord. 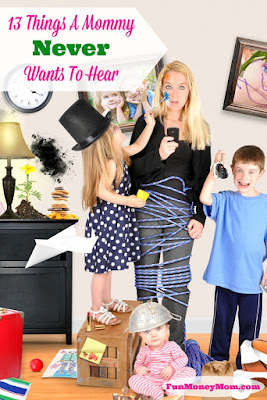 Your time is valuable: Many people make the assumption that it is easy to be a stay at home Mom. They think that our days are spent lounging on a couch, watching soap operas and eating chocolate. 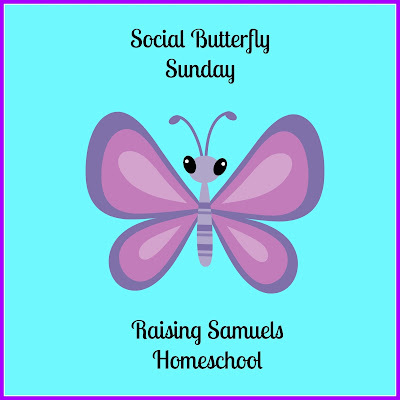 My days revolve around homeschooling my sons, cooking, cleaning, grocery shopping, blogging, running errands and running my household while my husband is at work. 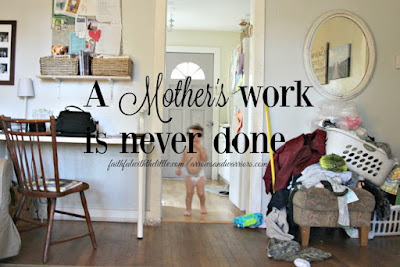 It's about getting all of this done, and having time left over to be at joy with my sons and my husband. It is something that I am so thankful to be able to do, and I love every minute of it. Don't let anyone take this joy from you, and treat you like you, your family, or time are not important or valuable. You are valuable, and so important. The Lord knows our struggles and He knows our hearts. Don't let the ignorance or selfish actions of another destroy any part of you. You are His. Our job is to honor and obey Him, and He is our Shepherd, Savior, Provider, and Protector. What are some things you have learned from being in a hurtful or confusing situation? Congratulations to Jen at Jed & Jen's Coffee Shop Conversations for her post Moving Past Mommy Guilt and Embracing Joy! Disclosure: This post contains affiliate links. If you make a purchase after using these links, I will be compensated. Monday - Today, we read Genesis 12-13 and 15-16. We learned about Abraham and Sarah, Ishmael and Hagar, and discussed the importance of patriarchs in the Bible. This was our second week using Tapestry of Grace: Primer. Thursday - We read Genesis 15-22 and learned what the name Issac means (He brings joy), because Sarah laughed when God told Abraham she would have a child in her old age. We also learned of Abraham's faith, and that he was willing to give up his son, Issac as a sacrifice. God did not have this happen, but it showed the strong faith of Abraham, and we learned that he would be the father of many nations. We also read about Issac meeting Rebekah at the well. Saturday - The boys and I read Genesis 25-33 about Jacob stealing his brother's blessing, and then running away to escape his brother hurting him. He began work and fell in love with a girl named Rachel. He was tricked by her father into marrying both Rachel, and her older sister, Leah, and having to work 14 years for him. They later returned to his home, and his brother welcomed him and his family. We watched all the stories on video from The Beginner's Bible for all the Bible stories we have read so far. Monday - B's lessons on ABCmouse today included fill in the number sentences, counting to 100 by 5's dot to dot, and also learning more on number families. Tuesday - G learned about more and less in his math workbook today, and B worked on adding with 4 and 5 math equations in his workbook. Wednesday - The boys did the finger play, This is My Bee Hive at the library today. Thursday - B worked on review equations from 1-5 today, and then started on adding with 6 equations. G was introduced to time telling in his workbook. Monday - We learned more about Mesopotamia again today, and also looked on a map at all the places Abraham's journey took him in the Bible. Tuesday - We learned about the sphinx, and how this may have been something Abraham and Sarah saw on their journey. This was awesome because this also coincided with our Little Passports learning about the Sphinx at Giza. The boys placed their souvenirs from their subscription package on the map, matching landmark to country. Wednesday - Daddy was off of work today, so we finally made it to the local history museum. The boys saw what an old television, radio and phone looked like. They saw soldier and nurse uniforms from WWI through Vietnam. Our town was established in the late 1800's and it's wonderful the amount of pride this museum boasted. We got to see an old courtroom, women's clothing and household items from the 1900s to 1930s, men's sporting gear from the early 1900's, and also learned about the first tourists to our area. People traveled and camped in tents, which were later replaced with airbuses, and then resorts. Saturday - We studied the journey of Jacob in the Bible. Wednesday - We went to another field trip today, and visited Florida's Natural Visitor Center. We were disappointed in this because we thought it would include a tour, but the center had televisions throughout that described the processes they use. We did learn how they conserve water and only use 10% of the energy by doing this. We also learned about the energy efficient light bulbs they use, and they had a comparison to a regular light bulb versus an energy efficient one. It did smell of oranges as you got out of your car though, and there were many various forms of orange trees on the property. At the history musuem, we saw a skull of a 31 foot crocodile, and also the bones of a mastodon. The boys thought these were really cool! Thursday - We did our Magic School Bus Science Club today, and did Experiments 5 and 6. We learned how our muscles help make our bodies move, and we also did a blind taste test to learn about the taste buds on our tongue. The boys named seasons of the year for the taste instead of saying sweet or salty, which I thought was funny! 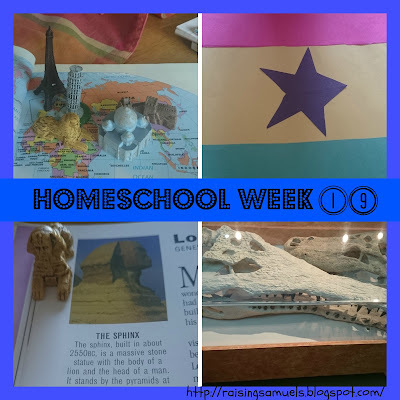 Saturday - We finished up Magic School Bus Science Club for this month, with experiment 7. We learned about why we feel dizzy after spinning around and then stopping. We also learned about the importance of the lentil and lentil plant in Near East dishes for our Bible study. Monday - B did Lesson 56 in ABCmouse and learned about letter blends. His blends today were th (moth, bath, that, the, thorn, thief, thermometer, thin, think, thing, and thank), ch (cheese, chips, and cheetah), and sh (sheep, ship, and shelf.) B read David and the Giant all by himself, and then we read In the Night Kitchen as a family. G did Lesson 11 in Teach Your Child to Read in 100 Easy Lessons. His words were am, eat, ram, see, rat, at and sat. Tuesday - Today, B did some listening and writing for initial consonant sounds. We also did Lessons 13 and 14 in First Language Lessons. We went over the names and middle names of family members, and discussed how they begin with capital letters because they are proper nouns. We also read chapters 7-10 in The Knight at Dawn. Wednesday - The librarian read Ruby and Where's My Teddy?, and then we watched a video on Corduroy. Saturday - B worked on more initial consonant sounds, and also final consonant sounds. G did Lesson 12 in Teach Your Child to Read in 100 Easy Lessons and his words were seed, same, rat, me, eat, seat and phonics of letter d.
Monday - B wrote the word tent, and G wrote letters e and t.
Tuesday - B wrote landmark, and then the first and last names of the people in our family. Saturday - B wrote well, flock, sacrifice, Abraham, Sarah, Issac, Rebekah, Jacob, Esau, and son. G wrote letters d and a.
Monday - The boys colored, cut and pasted a coloring sheet on Abraham and Sarah. They also went outside to play with their friends. Tuesday - We did some mazes and puzzles in Little Passports, and then the boys went outside to play with friends. Wednesday - We were blessed with a gift card for Christmas from my husband's aunt and uncle, and we ordered a bread maker. It came in 3 huge boxes, and the boys absolutely went crazy...for the boxes that is! They had a blast making a house and coloring it. We also did some music and dancing at the library today, and then they had choir practice later at night. They also made a flag of Ghana out of construction paper, as one of our church members is going there for a missions trip. Thursday - The boys colored a picture of Issac and Rebekah, while they listened to Daddy read the Bible. Saturday - The boys colored pictures of Jacob and Esau, and then did a matching sheet on the patriarchs learned so far. Thanks for stopping by to share our homeschool week! What are some fun studies that you did this week? Disclosure: This post contains affiliate links and I will be compensated if you make a purchase, after clicking on the links. Thanks for supporting my site! 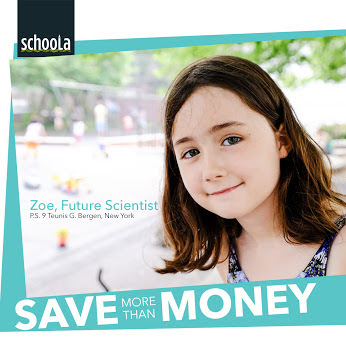 Come find out how to earn money for your child's school, and enter to win $15 in Pay Pal cash! Congratulations to Rebekah at Faithful with the Little for her post, A Mother's Work is Never Done. Disclosure: The information, products, and gift cards were provided by General Mills through Linqia. This post may contain affiliate links. Thanks for supporting my site! Did you know that you could earn extra cash for your child's school all year long with Winn-Dixie and eBoxTops? Everyday purchases at Winn Dixie can make a big difference toward earning cash for your child's school. By enrolling into Winn Dixie eBoxTops, (there are also digital coupons to help you save money) you can help your child's school earn money for things such as computers, books, and playground equipment. Box Tops for Education started in 1996, and has helped schools earn over $719 million year to date! Many of you who read my blog, may be asking why is Kelly talking about money for schools? Doesn't she homeschool? Yes, but many of the kids in my neighborhood who are friends with my sons, attend the local elementary school. 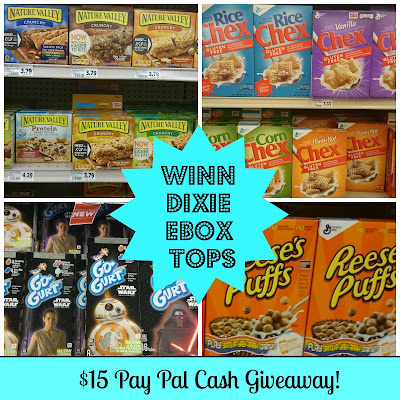 I send my Winn Dixie eBoxTops there so that it can benefit the children by getting new equipment and products for school. Maybe you have a grandchild or a niece or nephew's school, that could benefit from these Box Tops, if you don't send your children to public school. Many homeschool support groups and co-ops are also collecting Box Tops, so maybe you can help bring in products for that. 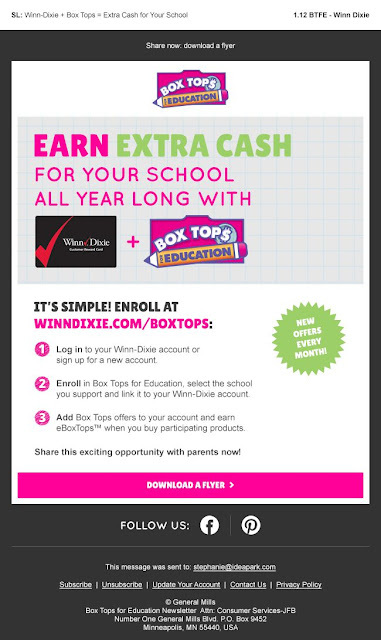 2) Enroll in Box Tops for Education, select your school, and link it to your Winn-Dixie account. There will be one winner who will receive $15 in Pay Pal cash. The giveaway is open fromJanuary 16, 2016 and will close on January 31, 2016 at 11:59 pm. The giveaway is open to residents world wide who have a Pay Pal account. Please leave a comment below with the answer to the questions asked in the giveaway form. Best of luck to all who enter!